Potentia dei is a notion difficult to translate, but possible to explain. The same goes for a film essay by Ondřej Vavrečka, with signs and information, their interpretation and secrets as its main theme. The collage-like film uses sharp audiovisual contrasts to make people think. Every summer, St. Nicholas Church (12th century) draws large crowds of tourists. Situated in an untouched Arcadian landscape, on a picturesque hill and next to a lone tree, it is as if the site becomes a stage where various unusual events take place. Thus, the tourists, unaware of the proximity of the camera, become performers in a daily show. Musicians from all corners of the world are brought together in the movie in an unbelievable mix of music styles. Against the background of breathtaking nature, exciting musical confrontations ensue. Who is this dwarf called Son Of God? Mystic midget healer. Is he trickster or shaman? Freak or messiah? A little girl throws a fit when the television is turned off. What's going on? Everyone seems either hypnotized, addicted, or turned into a vegetable by the tube. Her father, a TV journalist, decides to get to the bottom of it. 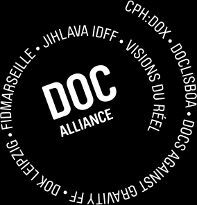 Five directors from Central Europe contribute to making an international film reflecting a unique moment of forming of a new European community. Timo Novotny's film is a remix of the film Megacities, a visually opulent essay about life in several big cities around the world, which was filmed in 1997 by the Austrian director Michael Glawogger. "Everything is Relative" is a kaleidoscopic fusion of documentary sequences, archive material and tableau's of human beings. It seeks to portray how our reactions to challenges in life are relative to the conditions that guide our individual lives. The film accompanies six prisoners during their last weeks before deportation. Ten contemporary storytellers of different cultures create an imaginary epic story and the aromas of culturesbv carry us from one storyteller to the next.